With so many successful titles under its wide selection of game offerings in the mobile gaming market, NetEase Games has been among the most popular developers on both Android and iOS platforms. If you have played several mobile games before, then chances are you have played one or a couple of games under Netease Games’ portfolio. 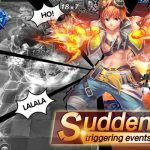 LifeAfter, Rules of Survival, and Onmyoji are among Netease Games’ most popular mobile titles and the company’s latest release, Cyber Hunter, is sure to be among the top of the list sooner or later. As a revolutionary battle royale game unlike anything you have seen or played before, Cyber Hunter doesn’t just excel in terms of exceptional graphics and deep character customizations, the plethora of actions and skills at your disposal and the variety of tactics you can utilize in battle far exceeds the ones available in most, if not all, battle royale games within and outside the mobile gaming market. Whether you are an experienced battle royale, FPS, or MOBA player and want to test your shooting and strategic skills to the test on your own or with a squad of friends; or looking into competitive gameplay that you can spend some of your free time on, then Cyber Hunter is definitely one of those games you need to see and play to believe, so don’t hesitate to try it out. Cyber Hunter is set in a future virtual world where players each have special abilities that revolve around the use of quantum droids which, thru utilizing the power of quantum cubes, can manifest into a variety of tactical support gears that can help you across multiple challenges that can come your way while in the arena. While you can join in the battle arena all on your own, you can pair up with someone or even be a part of a full 4-player squad. Like many battle royale games, finding a good spot will always be critical to you and your team’s survival and strategies ought to be readied even before you jump out of the plane and into the battle map. On top of the usual loots to grab like guns, grenades, med kits and the like; it is crucial to keep an eye out for quantum cubes that you need to deploy quantum droid abilities. Each battle will benefit you regardless of whether you win or lose, as experience points will always be gained to level up your character and unlock more abilities for you to mix and match towards achieving the perfect build you want. Cyber Hunter takes you through a quick and easy tutorial that should well enough give you a good idea of how the controls work. It’s not that difficult or complicated especially if you have played loosely similar fps or battle royale games before. At this point, try and progress through the tutorial and seriously take note of each feature. Your first battle royale game won’t be like the succeeding ones and will be relatively easy to give you a good feel of the actual battle arena and develop strategies and test skills out more efficiently. Like any battle royale game, it should typically take a lot of time and active playing to totally get used to every feature and beyond that, strategic game plays will take more time to develop especially in a full squad. 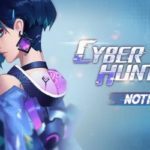 If you have fairly recently started playing this game and looking to improve your in-game performance as well as score more wins from each match, then our Cyber Hunter tips, cheats and strategies can certainly help you do just that. Like any battle royale game, consider the first few seconds of waiting time as your time to prepare a strategy before the map starts. Whether you are alone or in a squad, it is important to fully decide early on as to which area of the map you intend to drop on or head to regardless of whether it is directly along the path of the plane. If you are on a squad, it is important for someone to take point and mark waypoints as to where the entire team should aim to land to boost the chances of survival. 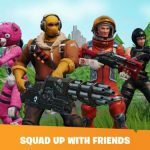 For experienced and veteran battle royale players, it is almost a given that the first few moments in the game are the most critical, and depending how you choose to start each round and strategize around it, the better your performance will generally be. Depending on your level of expertise, there are locations on each map that best suits you and knowing this can tilt the general outcome of each battle more in your favour. For starters, the earliest possible drops are best saved for the expert players. As you will notice, there will be a lot of players who will jump on ahead out of the plane as soon as possible. These are either very experienced players or just very aggressive ones who will most likely perish well ahead of the other players. Jumping early and getting to the ground first can be a good strategy as it gives you an edge in terms of a higher chance of grabbing some guns, items, and quantum cubes to be much better armed than any player who drops in a little later. Players who opt to follow this approach primarily bank on the possibility of shooting down bare-handed enemies or less equipped ones who are likely to be less advantaged. As there will always be several players and teams going for this strategy, it’s likely to be most chaotic instance early in the game and potentially even more of a riot than the last few minutes of the round where the surviving players are relatively compressed in a small spot. As most equipment, guns, and all sorts of items can be mostly found within various structures that are spread across the map, it is also a typical approach to target big groups of structures and grab as many items as you need as you prepare for battles. There are many choices available from the start of the jump up to the last few seconds though some areas will be more challenging to head into as they may not be within the path of the plane to jump from. In any case, there will also be a large number of players potentially targeting the same areas and in most instances; you will have to be ready for a quick gunfight within minutes from landing or reaching such areas. The last approach which you ought to be especially considering as a beginner is to wait it out and choose to deploy at the farther end of the map. If you want to avoid initial conflicts and would want to take it slow, then choosing to go for farther and less populated areas would be the way to go. The usual idea is not straying that far off from potential areas where you can grab enough to arm yourself for battle but rather, taking extra care and ensuring that there won’t be any rival players or groups within a structure-filled area that you are close to. Taking it slow may pose more difficulty in grabbing weapons and other important items, but then you can also pick off slain players with some strategy and at the very least earn more experience by having been a match longer than some players. Whichever choice you would eventually prefer to stick with, it will always be a good idea to test each out and experience for yourself which one suits you the best. Keep in mind that your choice ought to depend as well on whether you are playing solo, with a partner, or a full squad. It’s only natural to want to do well from your first few matches in the world of Cyber Hunter. As that would be too challenging, it would be best to consider your first few dives into matches as the extension of the tutorial where you train yourself further with getting used to the controls, the various guns you can get a hold of, and most especially, the skills you have at your disposal. As battle royale games make it so that you won’t always be able to grab your preferred weapons and you also won’t know when you will be forced to engage other players throughout the match, it’s always a good idea to get a good grasp of all gun types you can equip in the game. Although quantum cubes may not be as easy to farm as other resources, be sure to expend the ones you earn trying out available skills that you have equipped. Later on, you may raise your level and have more options to choose from as far as preferences and play styles go but before you even reach that state, try out each skill in your arsenal as much as you can to identify the correct and best situations later on to efficiently use them. Although you will always have the option to play solo or with a partner, playing with a full squad is the best way to go especially since there will always be better players than you and the whole team’s performance can affect the experience points you earn at the end of the match. Team play is always a lot more fun but also a lot more complicated. For starters, having a full team should mean having a good enough idea of each member’s strengths and play styles. As Cyber Hunter doesn’t exclusively rely on gunplay and aiming skills banked on random weapons, getting a full team that has different sets of skills equipped will be essential to assigning each member of the squad a clear role and work towards team strategy better. If you are not lucky enough to actually have gaming friends to join you in Cyber Hunter then it would be best to invite some players you randomly team up with especially ones whom you are confident you can play with for a long time. Playing with random players is definitely fun and exciting, but it makes it a lot more challenging to craft a strategy with a different set of members on each match. Though everyone starts out with the same set of skills, you can earn a lot more as you reach new levels and while the ones you can unlock later may not necessarily be better, it will simply be a matter of having more combinations to choose from later on. With excessively large maps in Cyber Hunter much like in most battle royale games, the existence of storms or similar events take place to force compress players into smaller areas. The remaining portion of the map that won’t cause harm to players is the safe zone and the idea is to always stay within the safe zone and as such, it is always important to keep an eye on how the safe zone will shrink and make it a point to be always within it. In case you have yet to experience being caught up in the storm, it’s almost always instant death in most battle royale games but in Cyber Hunter, there’s actually a bit of time before your HP is depleted within the storm. Beyond actually falling behind in terms of relocating to the smaller safe zone as the storm shrinks it down, the diminishing safe zone also serves as a source for a lot of potential dangers like ambushes as many players will likely be waiting at the edge of the safe zone and easily eliminate players busy running away from the storm. Although camping is rarely suggested, it is often a good idea to do so in such situations as Cyber Hunter offers a lot of areas and features to support that. Keep in mind that you can climb a lot of structures in the game and there are various tunnels and similar hiding places in the map. In addition, there are also a wide variety of skills you have in your arsenal to support you in these types of strategies. As a basic guide, keep as few sides open as you can and remember that there can be items and skills that can be used to track you as well. It won’t be surprising to experience being eliminated in the game while there may still be several players in the match. In some cases even, luck could be factored in for your early loss. Regardless of the reason and how soon you get eliminated from the match, try and spend some time as a spectator to watch your teammates as well as players who eliminated you to try and learn some things from them. Your teammates as well as the player who eliminated you may not necessarily be better than you, but there is really a lot of things to learn by closely watching how others play. Aside from aiming and utilizing weapons and skills, there are plenty of tactics to discover through spectating. It is especially educational to keep watching how others play towards the end of each match so try not to always be in a hurry to be at the lobby to go on another match quickly. Although luck can be a factor to determine the top ten or less players in the final stretch of each match, these usually involve highly skilled and very strategic teams or players. You may catch some great ideas for both solo and team plays towards the end of the game that you can somehow utilize in the succeeding matches. As such, keep your eyes peeled for such strategies and try to analyse what you can observe from each of the remaining players and try to determine how to incorporate such to your succeeding approaches. Gunfights are almost always unavoidable in a battle royale game and almost every few meters you travel in the map presents opportunities and dangers of an encounter. You may either be shot at first or be lucky enough to spot someone who has yet to see you. Once you see red marks starting to appear from one side of your character, the first thing you ought to do is to roll and find the closest cover. If you are alone and see that there are more than one enemy around you, then it would be wise to flee. Similarly though engaging a group of players even if you can fire the first shot won’t necessarily be advantageous for you. This is perhaps another advantage of being in a full squad, especially if you move properly and stick close to one another sufficiently enough. If you have a good enough weapon, some healing items to spare, and some quantum cubes to utilize your special skills, you can be more confident on going into a 1-on-1 battle with another player. Having to go against two players working together will always put you at a disadvantage regardless of what you have. Also, if you keep getting shot at and cannot find your assailant or assailants, it may be because they have sniper rifles or such guns that have a much longer range of fire. So in such cases, be sure to keep yourself out of sight and retaliate only if there is ample space to move around to and launch a counterattack from another direction. Although there is still plenty to cover in Cyber Hunter, this is where we will end our beginner’s guide. 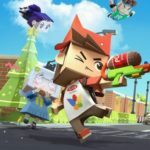 As you can read from the game’s description that NetEase aims to further improve the game, we can expect a lot more out of it in the succeeding updates. We hope that you enjoyed reading our Cyber Hunter guide and found the tips and strategies we shared here useful to your quest on becoming a stronger player in the game. Keep in mind that even if you are still a beginner in the game, some practice and some immersive matches will no doubt make you a better player. If there are similar tips, cheats or strategies in Cyber Hunter that you would like to share with us, don’t hesitate to do so through our comments section below!